Elise Bottle is a 26-year-old kidult who dreams of working in children’s television. She has a keen interest in cartoons, games and other pop-culture mainstays, and due to an excess of free time, is gifted at over-analysing. 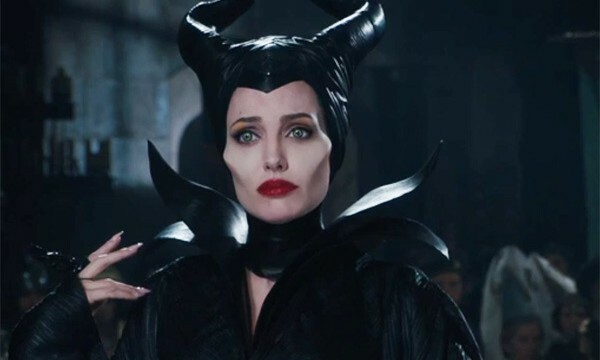 The recent explosion in female-led films, like “Maleficent” and “Frozen”, may seem a great leap forward for women on screen, but Elise Bottle thinks such “feminist” fantasies skate on thin ice. To Elise Bottle, Ace Attorney is proof that video games make the perfect medium to comment on important societal issues…the only question is, will society heed their messages? Bigotry: We may have the “right”, but must we carry on like this? Elise Bottle reckons that if most “real Aussies” got over their bigotry and started saying hi to people, rather than “F*** off we’re full,” we might all learn how to get along. Following the tragic death of Courtney Topic, Elise Bottle identifies the need for police to be trained to deal with high-risk developmentally disabled individuals. Polly Chester’s recent dismissal of video games as “a massive waste of time” got Elise Bottle thinking perhaps Ms Chester could benefit from the humble video game as it exists today. With looming cuts to the ABC and SBS care of the Abbott government’s austerity budget, Elise Bottle sees the days of quality programming a distant “Twilight” we may never witness again. Resident freaky fiction fan Elise Bottle has been investigating the Special Containment Procedures Foundation and she’s found a whole lot of weird tales within. We want to believe, Elise…we really do. Elise Bottle is here to warn you all that while all lolicon may be a part of anime/manga, not all manga is lolicon, despite what “It Girl” may portray. Elise Bottle is shocked (as are we all) to hear that Hello Kitty isn’t a kawaii Japanese kitty – she is instead, apparently, a creepy, zoomorphic British schoolgirl. Extant: Who birthed this monster of a show? After seeing so many female characters casually accept their “magic pregnancies”, Elise Bottle wants shows like “Extant” to be rendered extinct. Commedia dell’Arte – or was that “dell’Farte”? From Looney Toons to Jackass and the slapstick in between, Elise Bottle celebrates the influence of “Comedy of the Artist,” Commedia dell’Arte. Sexual harassment is “gender blind”. To prove her point, Elise Bottle points you to the case of Alexandra Rose Williams and the airline steward. My Little Pony might be the most pro-feminist show out there right now, letting us know that girls can be awesome – Elise Bottle tells you why.